The New York Times is so desperate for money that it accepted a full page Scientology ad bashing an unseen HBO documentary. 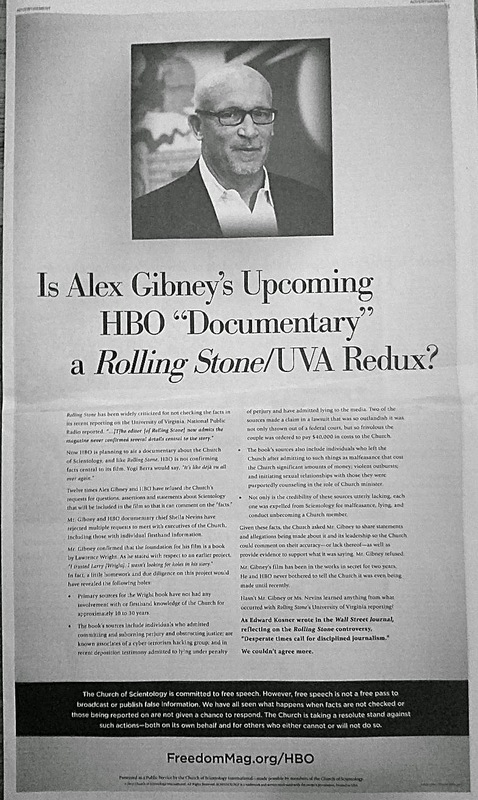 The ad compares Alex Gibney’s documentary based on Lawrence Wright’s book “Going Clear” to the the episode involving Rolling Stone and the University of Virginia. In that case, Rolling Stone had to retract its article after admitting they had not spoken to alleged rapists. 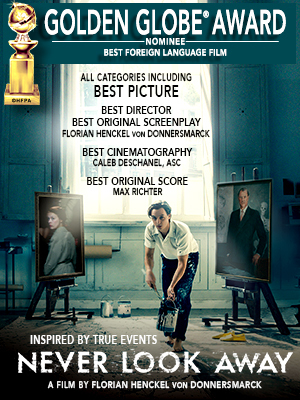 In this case, the Gibney doc is based on a much respected, thoroughly researched, vetted and awarded book. There is no similarity. But Scientology has vowed to go on the offensive against the doc, which airs in mid March and will have its premiere in two weeks at the Sundance Film Festival. Gibney is also the very respected director of many award winning documentaries. Scientology’s claims against HBO and Gibney have all been refuted. And Scientology uses a quote from Ed Kosner, writing in the Wall Street Journal about Rolling Stone-UVA, that has nothing to do with this situation. I rather think Kosner did a spit take this morning when he saw his name. The former long time editor of New York Magazine and the Daily News would never want his name associated with Scientology. What Scientology doesn’t seem to realize is they’ve now given 3 or 4 million people news that there is such a documentary. It’s the best advertising HBO could have asked for — for free. I doubt many Scientologists and Xenu worshipers are reading the Times. But plenty of people who bought the book, who’ve heard the stories about the religious cult, are going to tune in now in droves.